While the Big Apple is a concrete jungle, you’ll find plenty of fun things to do in New York City for the whole family. With one of the best subway systems (and other public transportation options) in the world, it’s simple and convenient to hop from one attraction to the next. Iconic New York City attractions and tourist spots include the Empire State Building, Theatre District, Brooklyn Bridge, Statue of Liberty, 9/11 Memorial and numerous museums. Tadpoles will love the Central Park Zoo, and there’s something for everyone in the family to dine on, whether it’s in Little Italy or Time Square. No matter where you venture in its seven boroughs you’ll find plenty of things to do in New York City! Experience this moving journey through the former World Trade Center where the traumatic events of 9/11 unfolded. On this tour you’ll be escorted by individuals personally connected to the events and hear as they explain their own stories of sadness and heroism from that tragic day in history. This tour of remembrance begins at St. Paul’s Chapel situated just one block away and which miraculously survived the falling debris. It became a makeshift shelter for the injured and the surrounding fence became a bulletin board where families posted notices of their missing loved ones. Next you’ll see the Firefighter’s 9/11 Memorial Wall and the fire station at Ground Zero where you’ll hear moving accounts from the emergency responders present that day. From here you’ll enter the 9/11 Memorial. Entry will be at approximately 12:30pm, but may vary depending on the day. Once inside you are free to take your time and pay your respects to those who lost their lives. Visit the Reflecting Absence Memorial, the world’s largest man-made waterfall built to reflect the huge void left by the loss of over 3,000 people. Look upward towards the shining Freedom Towers and beautiful 8-acre complex – take time to reflect and contemplate this sacred place. A moving and memorable experience for the entire family. 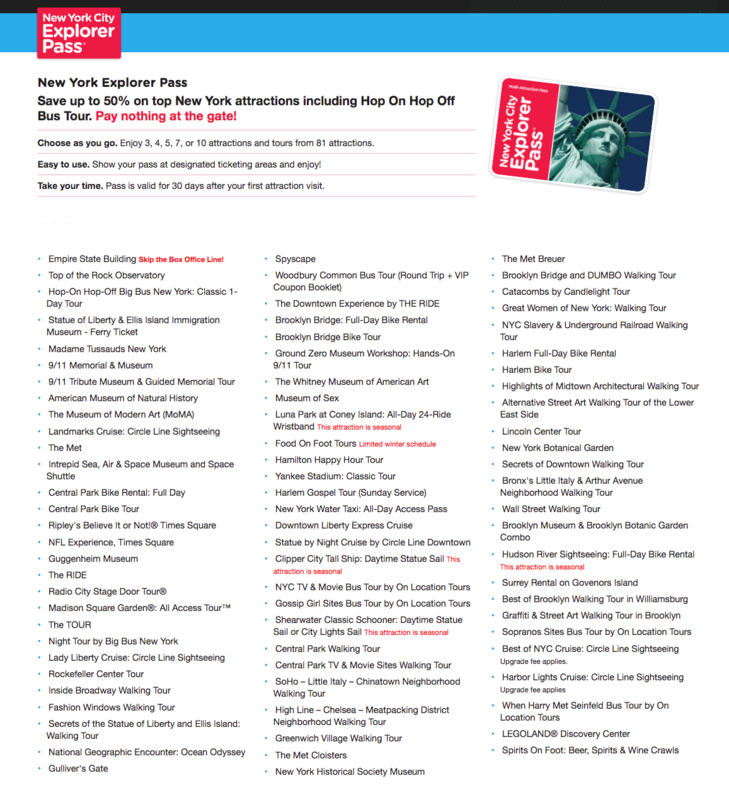 Plan your museum visit ahead of time using the 9/11 Memorial Museum Guide. At the Broadway entrance of St. Paul's Chapel on 209 Broadway (Fulton St. & Broadway). Guide will be waiting with a sign. Daily at 10:30am or 2pm. Get a taste of Brooklyn and see some of it’s most famous landmarks. Ride a luxury motorcoach across the Brooklyn Bridge on your way to experience Neopolitan-style pizza at world famous Grimaldi’s in the trendy DUMBO (Down Under Manhattan Bridge Overpass) neighborhood and Sicilian-style pizza at L&B Spumoni Gardens. Stroll the famous Coney Island Boardwalk, view the iconic Brooklyn Bridge from the waterfront (photo op! ), explore the open spaces of Brooklyn Bridge Park, see million-dollar homes along scenic Shore Road including the famous “Gingerbread House”. Your Brooklyn-ite tour guide will even show you some famous movie locations from Saturday Night Fever, Goodfellas, Annie Hall and many more. Fun for the whole family! Bring your appetites. 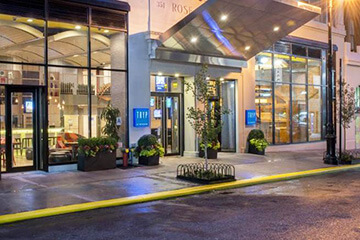 This tour begins in the vibrant and historic Union Square area of Manhattan. Arrive early and stroll around the park – view the famous bronze statue of George Washington. Or linger after the tour and enjoy this historic area! We Frogs love to see new places. Once you've completed your booking with us, the supplier requires guests to contact them at least 48 hours prior to desired tour date to confirm reservation and tour time. Contact information will be on your e-ticket. On the day of the tour, meet in front of the Liquerita Juice bar at the NE corner of East 13th Street and 4th Avenue. Look for the luxury motorcoach and tour guide. Tour operates: Monday, Wednesday, Friday, Saturday, Sunday at 11am. Explore Lower Manhattan on two wheels with a bike tour that takes you over the iconic Brooklyn Bridge. 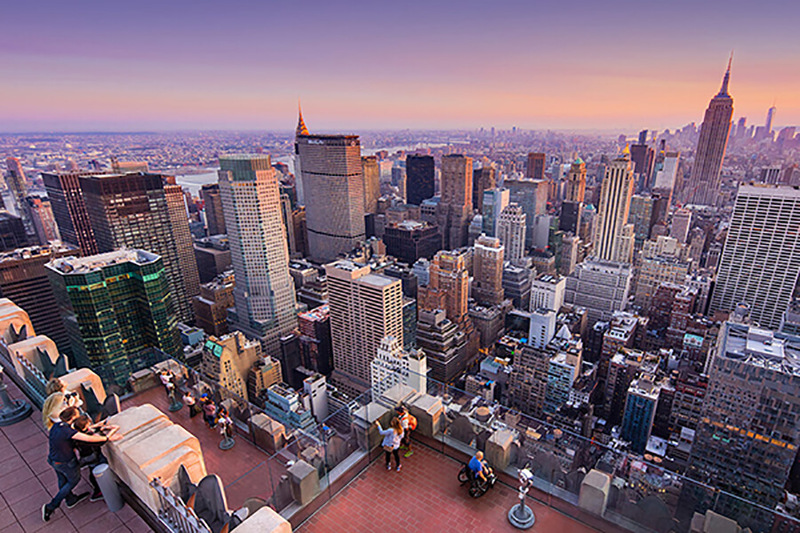 For views over New York that leave you spellbound, join this 2-hour tour that crosses some of the city’s most picturesque viewpoints. Bike around Manhattan’s southern tip, gradually climbing uphill into the City Hall area, on to the magnificent Brooklyn Bridge itself. Get onto the bridge and climb for about 15 minutes, stopping on the way at the Brooklyn-side tower of the bridge for photos. At this point you’ll be about 160 feet up, from where the entire New York Harbor, Statue of Liberty & Ellis Island, Staten Island, the port of Brooklyn, and several miles of the New Jersey coastline will unfold before your eyes. Descend into Brooklyn, with the Financial District across the river, followed by the historic houses of Brooklyn Heights. Then, return over the bridge to South Street Seaport where the world-famous views will have you captivated until the very last minute. Tour departs from 110 South Street (corner of South & Beekman, adjacent to South Street Seaport). Please arrive 15 minutes prior to departure time. Ticket expires on date of service or 21 days from service date. Whichever comes first. Visit one of New York’s most majestic icons, the Hudson River. Ride along side this scenic river taking it all in at your own pace. Bike the edge of the river, and take in all of New York City’s sights along the way! Go from the Lower East Side to Little Italy then Chinatown. Want to know which route to take to get to the must-see attractions? Ask a team member, they'll be happy to offer recommendations on where to go, what to see and their favorite eatery's along the way. This is a safe and exhilirating way to see NYC! You can choose to rent for 1, 2, 3 or 4-hours. Frog tip: Need a kids bike, baby seat or trailer? These are available for an additional fee so the whole family is set up to join in the fun. 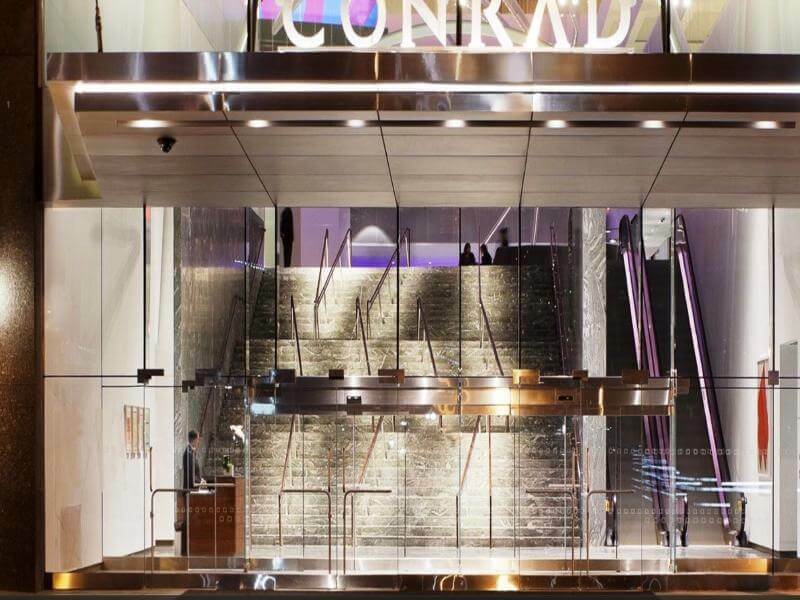 Once you've completed your booking with us, you'll need to contact tour provider at least 24 hours in advance of tour date to confirm your reservation. Contact information will be on your e-ticket. 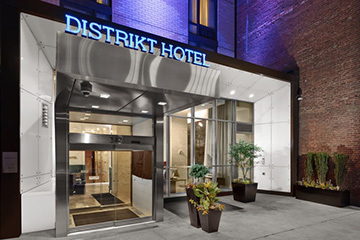 Tour location is at Pier 78 located at 455 12th Avenue New York, NY 10018. An hour and a half outside of NYC, visit your favorite Sesame Street characters at Sesame Place! Valid for 2 visits from April 18, 2019 through January 1, 2020. Meal is only valid during one visit. This ticket is non-refundable. Come visit your favorite Sesame Street® characters at Sesame Place— the nation's only theme park based on the award winning show. Meet Elmo, Big Bird, Abby Cadabby, Cookie Monster and many other Sesame Street friends! Head over to Cookie’s Monster Land™ where Cookie Monster hosts all of his monster friends in this colorful and imaginative new land that includes rides such as the Monster Mix-Up where you will move and groove, spinning around the dance floor—a family favorite tea cup ride. At Elmo's World travel into the creative world of everyone's favorite red furry friend, where anything is possible. Join Elmo for a spin up into the sky on Elmo's Cloud Chaser. Cool down at one of Sesame Place's 9 water attractions (open seasonally). Popular for kids and adults alike, this 1,000 ft waterway will take you past bubbling, swirling waters, spraying geysers and through palm trees with water-filled tipping coconuts. Join the party with your favorite Sesame Street friends at the Neighborhood Street Party Parade, where you can learn about letters, numbers and friendship and featuring your favorite Sesame Street tunes and some familiar contemporary tunes. Sesame Place will sure get kids and adults in the mood for fun! Ticket includes a meal (valid for one of the two visits) and a free 2nd visit! Valid for a single day plus a 2nd free visit through 1/1/20. Ticket expires in full on 1/1/20. Valid for use from June 16, 2019 through September 2, 2019. This ticket is non-refundable. Enjoy a single day peak season visit to see your favorite Sesame Street® characters at Sesame Place— the nation's only theme park based on the award winning show. Meet Elmo, Big Bird, Abby Cadabby, Cookie Monster and many other Sesame Street friends! Head over to Cookie’s Monster Land™ where Cookie Monster hosts all of his monster friends in this colorful and imaginative new land that includes rides such as the Monster Mix-Up where you will move and groove, spinning around the dance floor—a family favorite tea cup ride. At Elmo's World travel into the creative world of everyone's favorite red furry friend, where anything is possible. Join Elmo for a spin up into the sky on Elmo's Cloud Chaser. Cool down at one of Sesame Place's 9 water attractions (open seasonally). Popular for kids and adults alike, this 1,000 ft waterway will take you past bubbling, swirling waters, spraying geysers and through palm trees with water-filled tipping coconuts. Ticket is only valid for a single day visit between June 16 through September 2, 2019. Valid for one visit during regularly scheduled operating hours from June 16 through September 2, 2019. Valid for one (1) single day from June 16 through September 2, 2019. Ticket expires in full on 9/2/2019. Valid for a single weekday (Monday- Friday) visit from June 16, 2019 through August 30, 2019. This ticket is non-refundable. Enjoy a single day peak season weekday visit to see your favorite Sesame Street® characters at Sesame Place— the nation's only theme park based on the award winning show. Meet Elmo, Big Bird, Abby Cadabby, Cookie Monster and many other Sesame Street friends! Head over to Cookie’s Monster Land™ where Cookie Monster hosts all of his monster friends in this colorful and imaginative new land that includes rides such as the Monster Mix-Up where you will move and groove, spinning around the dance floor—a family favorite tea cup ride. At Elmo's World travel into the creative world of everyone's favorite red furry friend, where anything is possible. Join Elmo for a spin up into the sky on Elmo's Cloud Chaser. Cool down at one of Sesame Place's 9 water attractions (open seasonally). Popular for kids and adults alike, this 1,000 ft waterway will take you past bubbling, swirling waters, spraying geysers and through palm trees with water-filled tipping coconuts. Ticket is only valid for a single day Monday-Friday visit between June 16 through September 2, 2019. Valid for one weekday (Monday-Friday) visit during regularly scheduled operating hours from June 16 through August 30, 2019. Valid for one (1) single day from June 16 through August 30, 2019. Ticket expires in full on 8/30/2019. Valid for use from April 17, 2019 through June 23, 2019. This ticket is non-refundable. Enjoy a single day Spring visit to see your favorite Sesame Street® characters at Sesame Place— the nation's only theme park based on the award winning show. Meet Elmo, Big Bird, Abby Cadabby, Cookie Monster and many other Sesame Street friends! Head over to Cookie’s Monster Land™ where Cookie Monster hosts all of his monster friends in this colorful and imaginative new land that includes rides such as the Monster Mix-Up where you will move and groove, spinning around the dance floor—a family favorite tea cup ride. Then, visit the Monster Clubhouse, where you can discover new levels of fun, climbing and exploring in this 3-story net climb—no password necessary! At Elmo's World travel into the creative world of everyone's favorite red furry friend, where anything is possible. Join Elmo for a spin up into the sky on Elmo's Cloud Chaser. At the Flyin' Fish, hop on the fins of an Elmo fish as it swims up and down through an imaginary ocean. Cool down at one of Sesame Place's 9 water attractions (open seasonally). At Big Bird's Rambling River enjoy a relaxing adventure on an inner tube and float all through Sesame Island. Popular for kids and adults alike, this 1,000 ft waterway will take you past bubbling, swirling waters, spraying geysers and through palm trees with water-filled tipping coconuts. For a faster pace, slip and slide away on Bert & Ernie's Slip and Slide where you will twist and turn on your way down and shoot into a splash pool for your grand finale. Sing, dance. and help Elmo and Cookie Monster find his favorite cookie at Elmo the Musical— Live at Sesame Place. Join the party with your favorite Sesame Street friends at the Neighborhood Street Party Parade, where you can learn about letters, numbers and friendship and featuring your favorite Sesame Street tunes and some familiar contemporary tunes. Sesame Place will sure get kids and adults in the mood for fun! Valid for one visit during regularly scheduled operating hours from April 17 through June 23, 2019. Valid for one (1) single day from April 17 through June 23, 2019. Ticket expires in full on 6/23/2019.